At the club level, 2015 was a historic year in Kenya football. Gor Mahia won the national league with an unbeaten record, becoming the first team to do so since 1988. Unfancied Bandari surprised everyone when they won the 2015 GoTV shield. However at the national level, it was one debacle after another due to official incompetence by FKF (Football Kenya Federation) and the Ministry of sports. The Kenya Under 23 men’s side had a chance to qualify for the All African Games in Brazzaville in September for the first time in three decades. The team, coached by Scot Bobby Williamson, lost to Egypt at the first hurdle, thanks to a 4-1 goal aggregate, after having lost 0-3 in Cairo and drawing 1-1 at Machakos stadium. 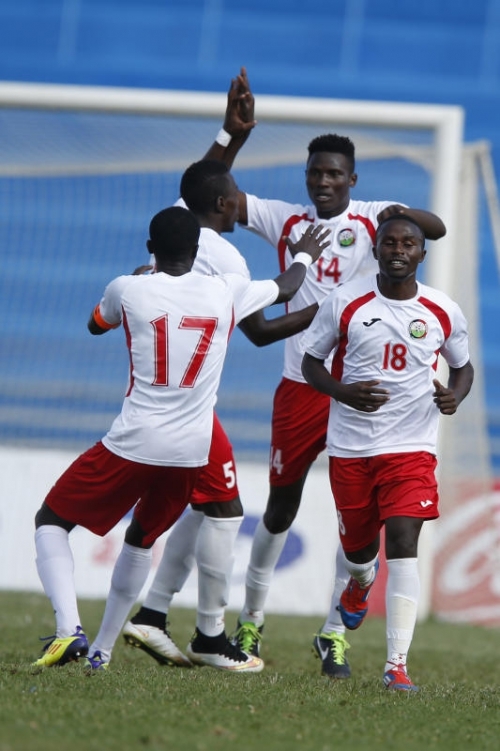 Kenya started the qualifiers for the 2018 world cup by playing Mauritius whom they beat 5-2 away before settling for a scoreless draw in Nairobi. In the next round they faced off with Cape Verde which at the time was ranked at #32 in the FIFA rankings, a starke contrast to Kenya which at the time was ranked at #118. Despite poor preparations, Kenya put on a strong performance in the first leg and won 1-0. The goal was scored by new sensation Michael Olunga who headed home a left wing cross from Clifford Miheso. The win despite shoddy preparations showed Kenya’s potential. However instead of building on the good result, the FKF and the Ministry of sports collectively doomed Stars chances. The funds needed for Harambee stars travel to Cape Verde were not released by the ministry until two days before the departure date. 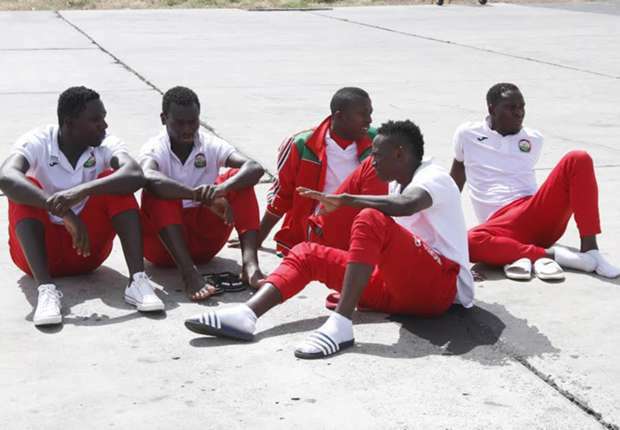 Harambee stars were stranded at Wilson airport for 10 hours.Matters came to a head when skipper Victor Wanyama refused to shake hands with sports minister Hassan Wario. Stars eventually left and arrived in Cape Verde on the day of the match. Travel fatigue was once again a factor as Kenya lost 0-2 and were eliminated. Kenya started their 2017 Africa nations qualification campaign with an impressive 1-1 draw away to the Congo republic. Kenya had taken the lead thanks to a goal from Paul Were who scored from a difficult angle on the left wing. After defending doggedly, Kenya succumbed to a late equalizer but still earned a valuable away point and seemed on their way to a good campaign. Kenya however shot themselves in the foot during the second match against Zambia. Nyayo stadium was packed to the brim, which is a rarity in Kenya football today. Harambee stars dissapointed the home crowd by putting on a listless display. Michael Olunga had put Kenya ahead when he anticipated a long ball and beat two Zambia defenders to the ball to score. .However Zambia scored two second half goals them resorted to time wasting tactics. They emerged 2-1 winners. After the match, reports emerged citing indiscipline in the Kenya camp prior to the match. There were players drinking heavily the night before the match, cavorting with women late into the night. There were also reports of rivalry between players. 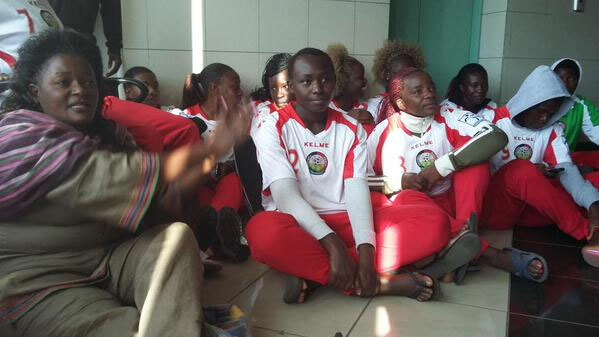 The Harambee starlets also suffered due to the ineptness of the FKF but to a much larger extent. They received little support from the federation. At one point they were sleeping on the changing rooms’ floor at Kasarani Stadium. Still Starlets managed to beat Botswana on the away goal rule in the second round after a 2-2 aggregate with Dorcas Shikobe’s late strike saving the day for Kenya in the return leg in Machakos. The starlets had lost the opening leg 1-2 in Botswana. In the third round, Starlets played African giants South Africa but they gave the fancied Banyan Banyana a run of their money despite being stranded at the South African High Commission with Visa troubles to arrive for the away first leg tie on match day and duly lost 1-0. It was a season to remember for Gor Mahia. They won three titles: The Super Cup, KPL Top 8 and the Kenya Premier league which they won with an unbeaten record, becoming the first team to do that since 1988. All in all, Gor Mahia did not lose a domestic match during regulation time. Their only loss was on penalties to Nakumatt in the semi-finals of the GoTV shield. Gor Mahia also reached the finals of the 2015 CECAFA club cup, a vast improvement from 2014 when they did not go beyond the pool stages. Bandari FC who had been promoted back to the the premier league only 2 seasons earlier had a memorable season as well. They won the GoTV shield, finishing ahead of much more fancied teams like Gor Mahia, AFC leopards, Tusker and Sofapaka. Bandari also finished in a creditable fourth position in the 2015 Kenya premier league. Coach Twahir Muhiddin once again cementing his place as one of the best Kenyan coaches ever.